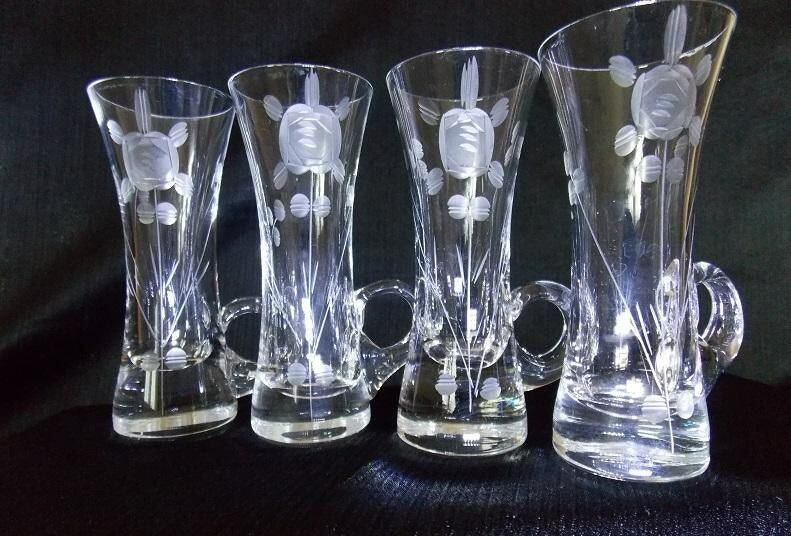 This 4 piece shot glass set was made by SIP in Bulgaria during the 1960s. 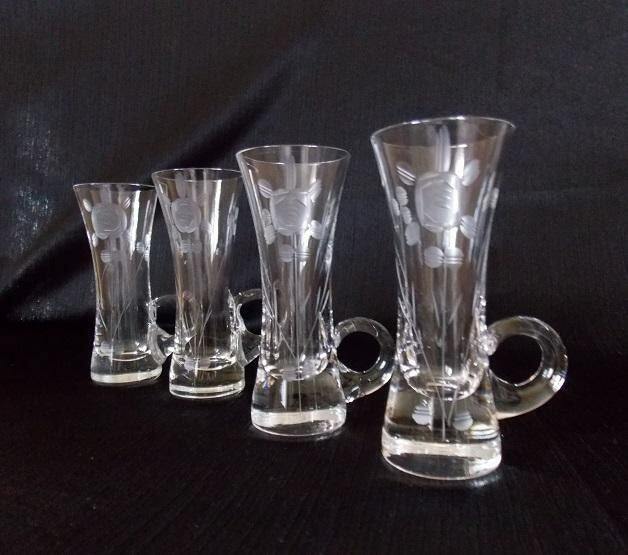 It features an etched floral design on one side of the clear glass. 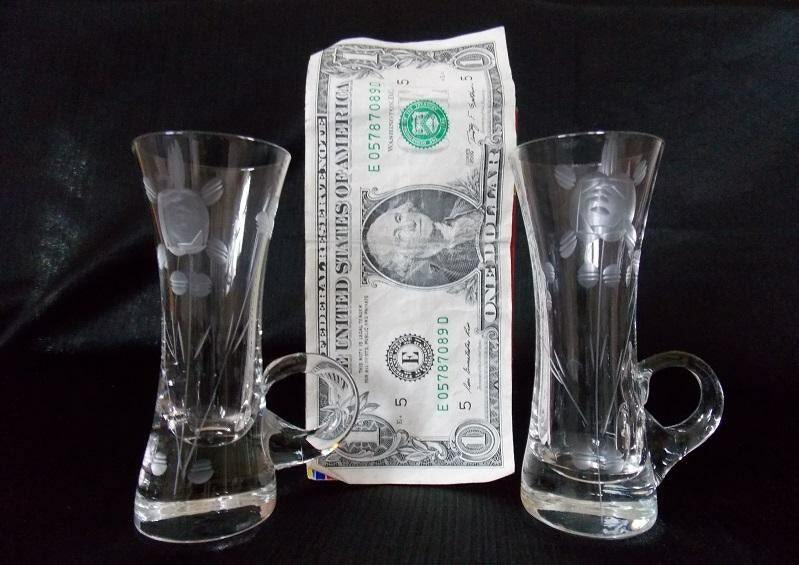 This barware set has a thick glass weighted base and small applied handle. 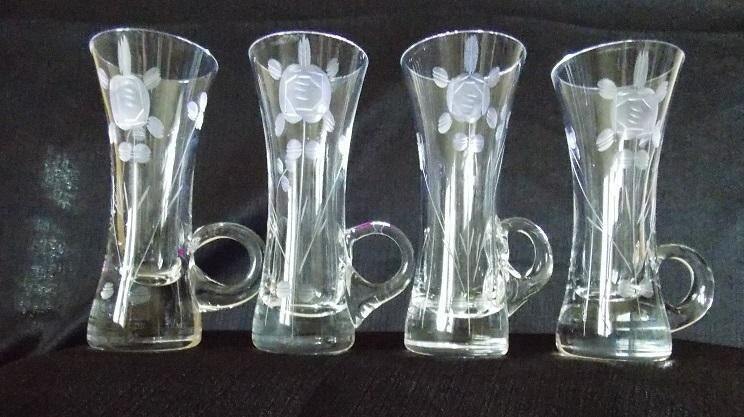 This shot glass set is in excellent condition with no cracks or chips.